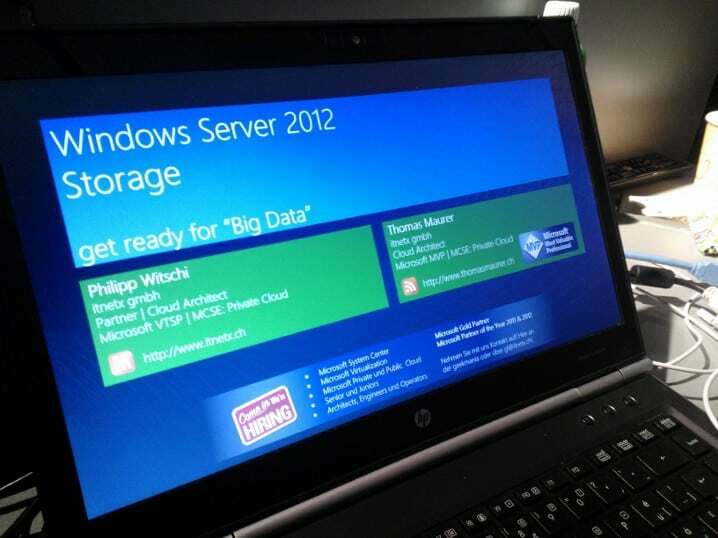 Last year I was speaking at Geekmania 2012 in Switzerland about Windows Server 2012: Hyper-V V3 – the new generation Hypervisor and Windows Server 2012: Storage Management – get ready for “Big Data” where we talked a lot about the new storage features and Hyper-V over SMB. 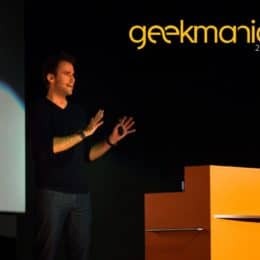 This year I have again the honor to present at Geekmania 2013 (25. October). 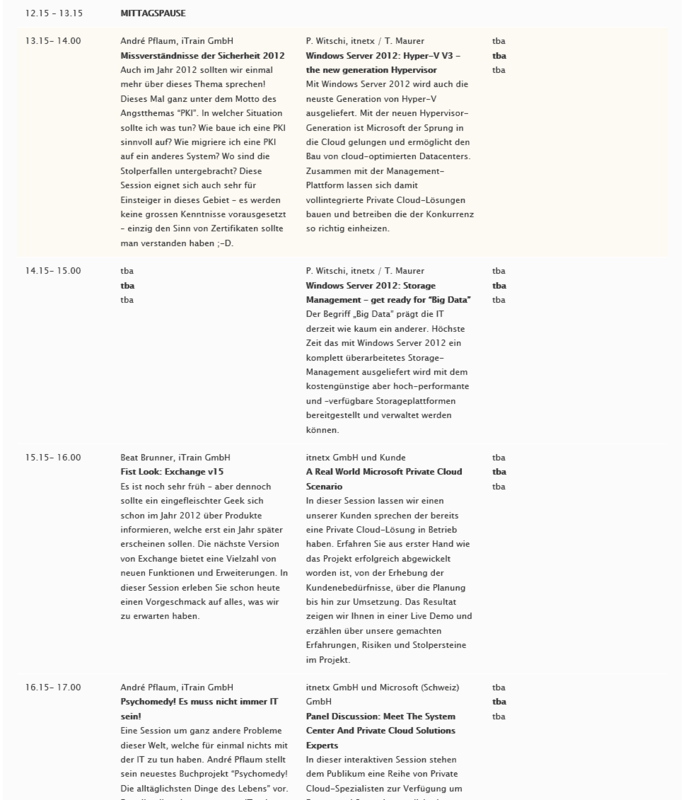 This time I will have two sessions (german), together with Marcel Zehner (Microsoft MVP) I willl talk about PowerShell 4.0 and Desire State Configuration and with Philipp Witschi (itnetx gmbh) I will talk about Hyper-V and Storage. Sie entwickeln Ihre Scripts immer noch mit VBScript oder anderen Legacy-Skriptsprachen? Oder benutzer gar noch den guten, alten Command Prompt? Dann wird es langsam Zeit dass Sie sich mit PowerShell beschäftigen. In dieser 100%-Demo-Session zeigen wir Ihnen von Grund auf was in PowerShell steckt, wie es funktioniert und wie man diese interaktive Shell- und Scripting-Technologie einsetzen kann. Dabei starten wir ganz unten, und bringen Sie in kurzer Zeit auf eine angenehme Flughöhe! Two weeks ago the date of the Swiss IT Event Geekmania was announced and I got two session slots in the itnetx Private Cloud Track. 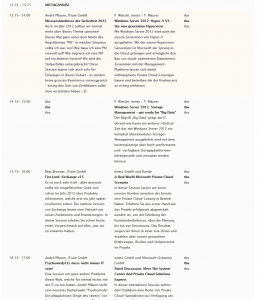 Together with Philipp Witschi I will talk about Windows Server 2012 Hyper-V and Storage and how those features are integrated in the next Version of System Center. Beside those two sessions there are a lot of other cool Microsoft Private Cloud sessions with the latest System Center products like System Center Orchestrator, Virtual Machine Manager, Operations Manager, Service Manager and Configuration Manager. 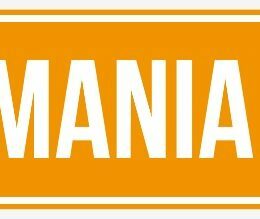 Geekmania 2012 will be a one day Event on Friday October 26. You can get more Information about the Event on the Geekmania 2012 homepage.